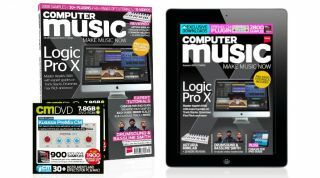 The amazing update to Apple's flagship DAW is stuffed with powerful new features - get the most out of them right now with our expert guide,including almost FIFTY MINUTES of tutorial videos! The legendary drum 'n' bass outfit invite us into their studio for a very special Producer Masterclass video - see them recreate their 2011 DnB banger Closefrom scratch! Get sweet valve-style saturation and tonal shaping with PreMix CM! This pro-quality plugin for PC/Mac has been created exclusively for Computer Music by Kuassa - you can't get it anywhere else. Check out the full feature list.